A law firm for those who don’t always love lawyers. IF YOU’VE NEVER REALLY LOVED LAWYERS, WE MIGHT BE A NICE FIT. We consider ourselves the lawyers for those who never really liked lawyers. Learn why. Contact us for a consultation. We have handled hundreds of cases across the state of Texas. Our only definition of success is client satisfaction. We intentionally maintain a small case-load so we can have more time for each client. We provide you with an honest, fact-based evaluation of your case. You won’t see us on late-night TV commercials yelling about how tough we are or how much money someone else’s case was worth. It’s not our style. We are not a big, assembly-line law firm. We are a small, boutique firm that offers very personal service and a deep level of attention to every client. You only pay a percentage of what we recover on your behalf, and never an up-front fee. Contact us to schedule a free consultation and discuss what you are looking for. We offer an honest evaluation of your case. Mr. Sutton was the only person to take on my case who I knew I could trust and be the voice I needed to represent me. When I hired Will, he walked me through the process step by step, and gave me advice and potential outcomes for each scenario. Mr. Sutton provided constant communication, ensuring I understood all my options and answered my questions through each phase of the process. The case was settled very quickly, and I received a maximum settlement for my case. He very patiently explained what he could do for me, walked me through every scenario, what could happen if we did this … and made everything very easy for me and my family. Will Sutton enjoys representing the "underdog," which often is the case with his clients battling insurance companies with vast resources. Learn more. 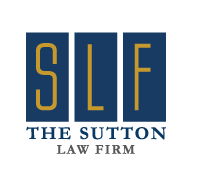 Penelope Gonzalez Sutton is the senior paralegal at The Sutton Law Firm, with experience in multiple fields of law, including personal injury, employment, medical malpractice, products liability, general insurance defense and real estate fraud. She supports several local charities, especially Austin Pets Alive! Learn more. Take 60 seconds to complete the short form and give us a few quick details about your situation, and we’ll be in touch with you very soon. On the first phone call, we’ll give you an honest evaluation about your case. We ensure every client gets the attention and responsiveness they deserve. Hear our philosophy on ensuring we maintain a small case-load so we can spend more time on your case. You don't pay at all unless we win a recovery for you, and our fee is simply a percentage of your recovery. Learn more about our fees. Take 60 seconds to complete the simple form and tell us a few details about your incident, and we'll reply with an honest evaluation of your case. In the past decade, we have handled hundreds of personal-injury cases across Texas, and we have a proven track record of success. Learn more about our firm, our experience, and our philosophy. Call us any time for a free consultation about. We'll give you an honest evaluation of your case on the very first phone call.